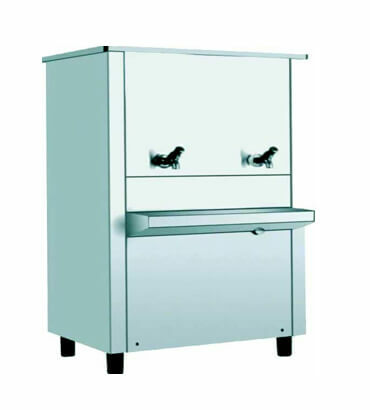 Stainless Steel Water Cooler Manufacturer & Supplier in India, Stainless Steel Water Cooler in India. We are a coveted organization engaged in offering our valuable clients an unparalleled and exclusive range of Water Cooler. Exclusively designed to cater cold water for drinking, these plates are manufactured using finest quality material. These are widely used in various places such as schools, offices, hostels, work places and others. Further, our experts test every product during the manufacturing process to ensure their durability and flawlessness.